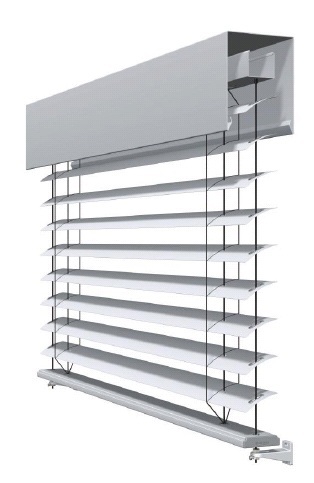 Exterior lamellar window shades are the best decision for sun protection - they regulate perfectly the access of light and visibility in the premises, participate actively in the interior and exterior of the building with their rich colour pallette, and ensure optimum heat protection. 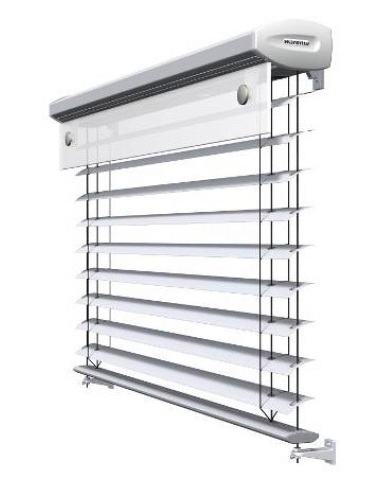 Nowadays, when the idea of energy efficiency and environmental protection becomes more important and desired, exterior lamellar window shades are one of the most preferred products for external control of visibility and sun protection. suspended facades assembly with decorative blinds. Manual or el. operation with remote control could be chosen. 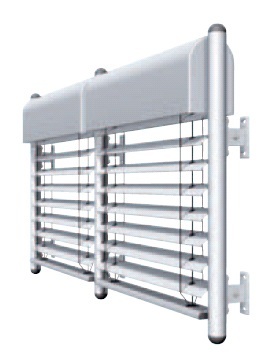 There is an opportunity for combination with sensors for sun and/or wind for automatic control.